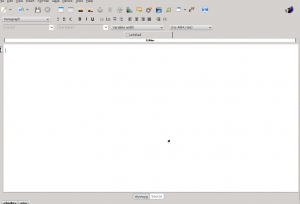 Just recently had the need to try out a new wysiwyg web editor and remember from years ago using NVU which is a simple graphical editor based on Netscape / Gecko engine. Development stop and was taken up by Kompozer which was stopped as well, but now has new life under BlueGriffon. BlueGriffon is a new WYSIWYG content editor for the World Wide Web. Powered by Gecko, the rendering engine of Firefox 4, it’s a modern and robust solution to edit Web pages in conformance to the latest Web Standards. There are a few prerequisites to install first when running 64 bit for the 32 bit libraries. This will install all the needed libraries for BlueGriffon. Now lets download BlueGriffon itself from here. The current version at this writing is 1.4. That’s all that is needed and now we are ready to fire it up and start editing. When opening up the program you will receive a simple but effective interface. There are several free addons available here and also pay addons. 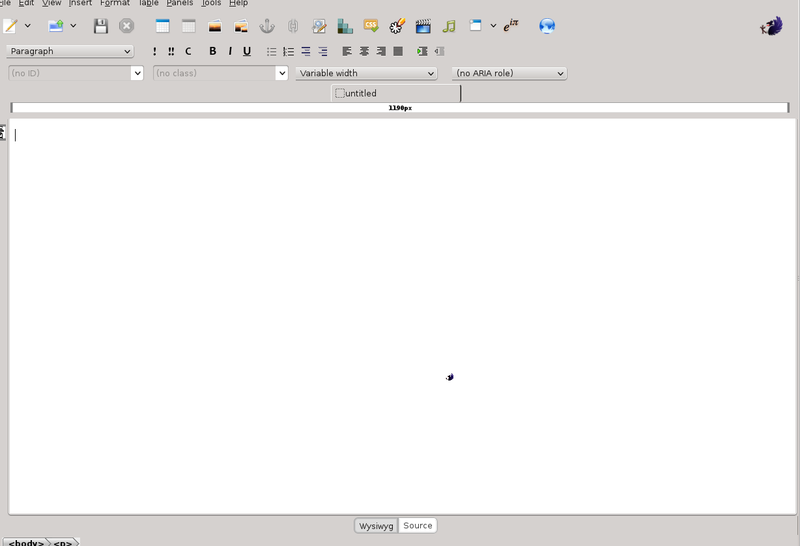 If you want a free, lightweight GUI editor then BlueGriffon is the one for you. I was trying to get bluegriffon running on Fedora 17 64bit and ‘yum whatprovides’ was not getting the job done as a method to figure out all the missing libraries. I ended up in a situation where I couldn’t install any more libraries because of a bizarre multilib conflict error. Installing the libraries you suggested works perfectly.